So here’s a quick tip that is incredibly useful when trying to pick out a color for your website. 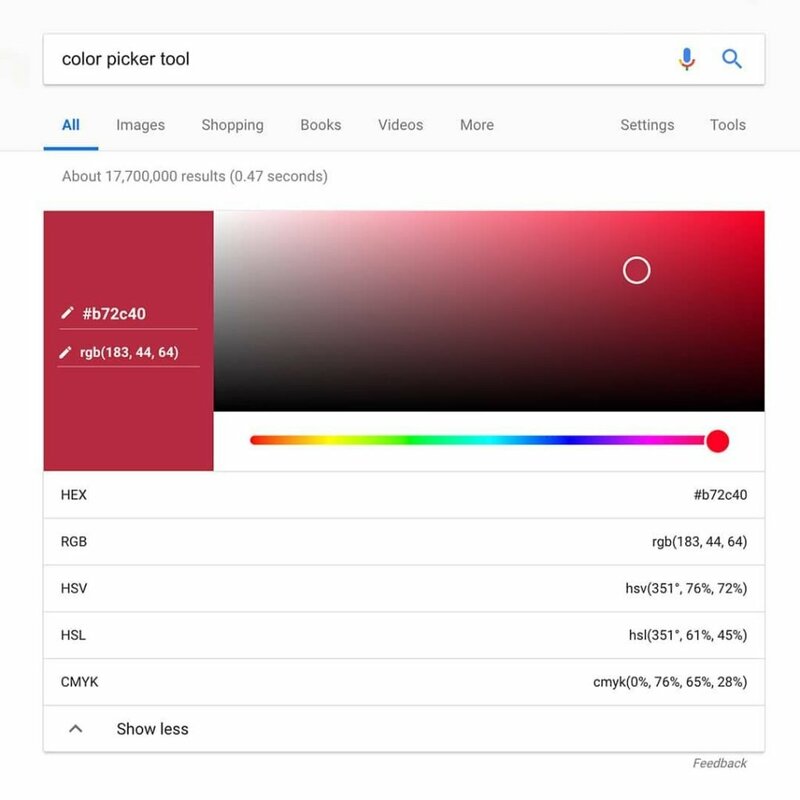 Search “color picker tool” on Google, and you’ll get an excellent little tool right there on the browser! Move the slider left to right and drag the white circle around until you find the exact color you want. This free tool gives you the Hex color code, the RGB values, the CMYK values and more! Easy peasy!! !